Community engagement and creating high quality opportunities for volunteer involvement and training are very important to us at MSDS Marine. 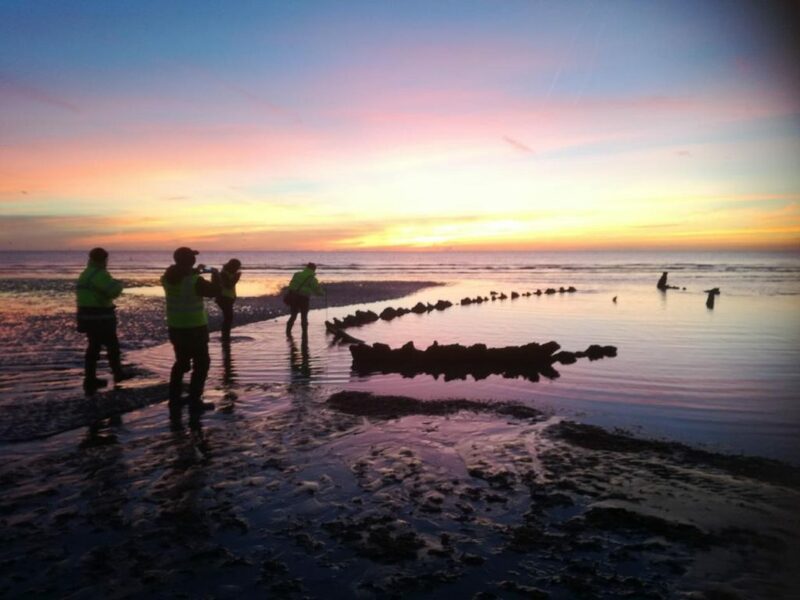 This week (9th – 12th October 2018) we have teamed up with the Nautical Archaeology Society to return to Sandwich Flats to continue our survey work on the intertidal wrecks. 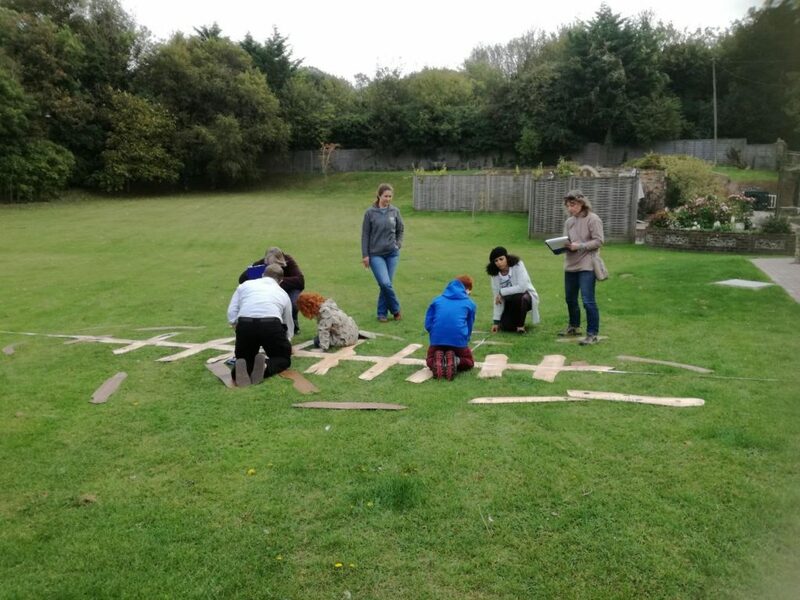 Earlier in the year MSDS conducted a two-day heritage and ecological survey with volunteers from the local community, which focused on the remains of a B17 bomber, and three unidentified wooden wrecks in Pegwell Bay. 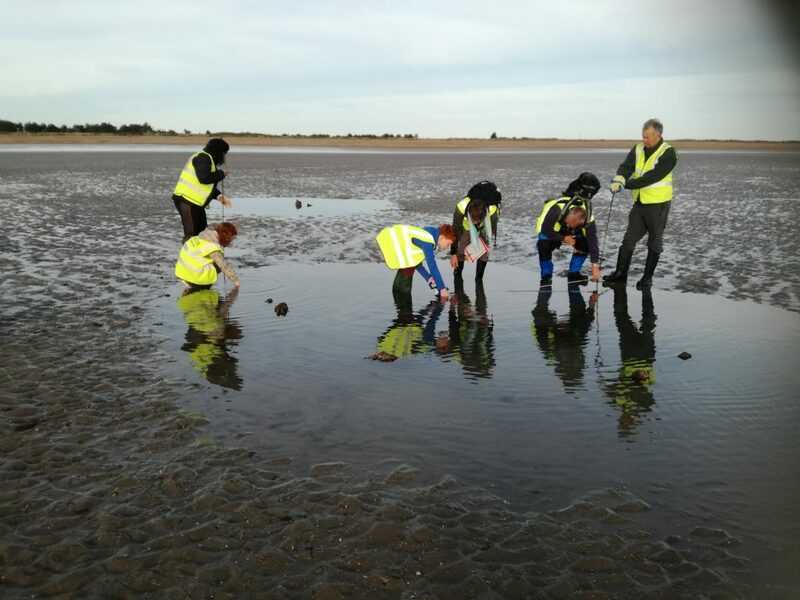 The first day of the archaeological survey at Sandwich Bay had an early start. At 6am all volunteers and the MSDS Marine and NAS staff arrived at the beach to go through all the safety procedures and the archaeological aims of the day. 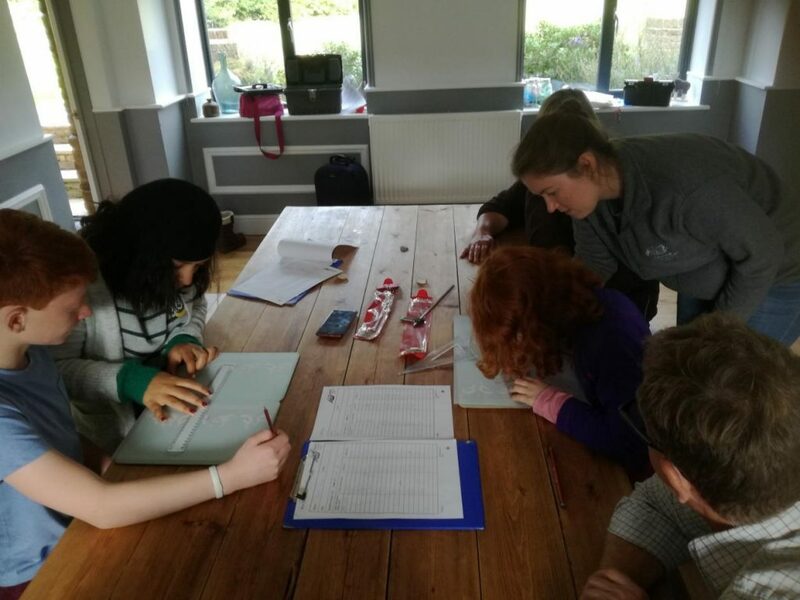 We split up into two groups; one group doing photogrammetry on one of the wreck sites whilst the other was planned to take 2D offset measurements using simple measured tapes on another site. Unfortunately it was not possible to take measurements of the wreck we had planned on drawing due to the tide coming in earlier than anticipated, making it too difficult to reach the wreck. Luckily, a bit closer closer the dunes, an unexpected ship timber was found and appeared to be a nice object to take our first measurements off. With the tide rising very quickly we were able to finish just in time before the water covered it again. Further to the north a barrel was found and drawn as well. It was known to us that there were at least 3 shipwrecks and one wreck of an aeroplane, but surprisingly one wreck and the aeroplane remained covered at low tide. To our surprise however parts of a fourth wreck were revealed at low tide that was previously unknown to us. This was a perfect opportunity for the volunteers to take some measurements of a real wreck. Again we were finished with measuring the wreck just before the tide had to make us abandon the site. We could walk along the beach for another half hour to look for some more interesting features. Lots of small wooden sticks were sticking out of the sand in a straight line, so these will get our attention when we are using a Total Station to get positions of the wrecks and the sticks on Wednesday. The photogrammetry group was lucky enough to get some pictures of one part of a wreck and they were then able to spend the rest of the afternoon processing all the data. Eventually one 3D model was created. Hopefully more models can be made of the wrecks during this week! We will be sharing these with you on Sketchfab soon. For the 2D offset measuring group the afternoon was spend drawing a fake shipwreck. 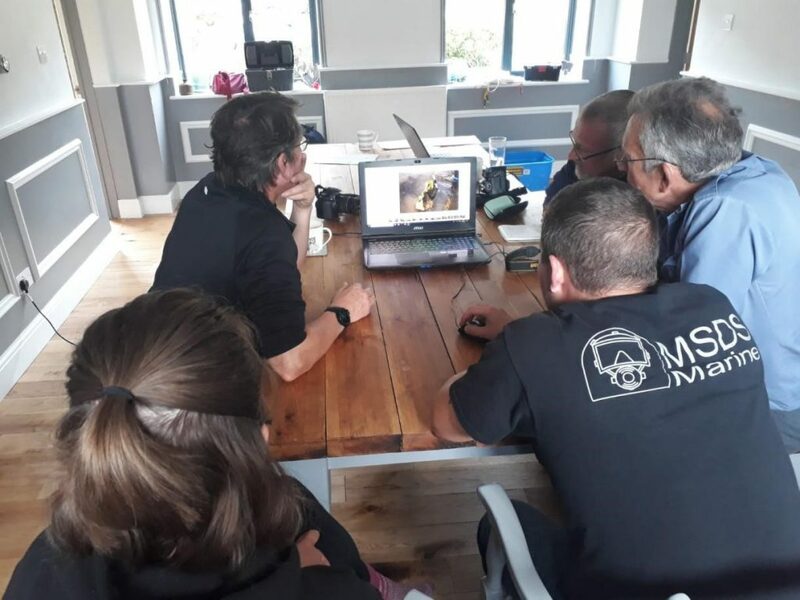 The volunteers were split up in two groups of three people and took measurements of the wreck, pretending to be divers, so everyone had to be quiet and things could only be said using hand signals. After all the measurements were taken they were drawn on paper. One group had drawn the bow of the wreck, the other group the stern, but both with a bit of overlap. A loud cheer rose up when the two drawings matched up! Tomorrow we will be back on site, to do some more photogrammetry, laser scanning, 2D offset measuring and creating aerial images with a drone!